Mobile applications are literally dominating the world with their outstanding benefits and extreme outreach. Numerous amount of applications added to the app world daily, a large portion of them directly goes to dark places. creation of an application from idea to live product is transformed by the mobile app development world using keen knowledge and precise analysis. Still, some apps fail in the market just bcoz their design is not up to the mark to interest the user. Today's app market is totally user-oriented and UX of an application play a crucial role to make it successful. The first user got attractive to the user interface in order to test the application functionality. Designing the interface is not an easy task it involves analysis based on the targeted audience with what suits with your services. Here are 5 killing ideas to make your app UX best in the market. Goal driven design to results the user what he is looking for quickly. Usability is a key feature in order to grab the user attention. Give your time to Feedback and quick response to get better every time. There is a reason why big and successful apps follow some standard set of patterns for the users. Don't try to reinvent the wheel of some features as a user are addicted to those with every app and learning new pattern will cost your app in abundant. Gestures, like swiping clicking or pressing with one click, colors, graphics, and others, should be the same for the user to understand and use without thinking. For example, red colors for the warning text, an Envelope for the mail, gear wheel for setting these are some certain symbols used as standard known to the customer. While using mobile phones we frequently experienced the accidentally hitting the wrong button and end up with the unwanted screen. This kind of situations frustrate the user, finger size is a lot bigger than the buttons available on the screen. The standard size of an average person finger is 45-47 pixels which is much bigger than the guidelines given to design the button. Apple recommends the size of 44? 44 pixels, while designing the buttons consider the finger size. There is also a user holds the phone differently: one thumb/one hand, two hands/one finger or two hands/two thumbs, you also need to consider this. Choice of colors affects the over out layout of your application it depends on many factors such as app category, targeted users, platform, and others. 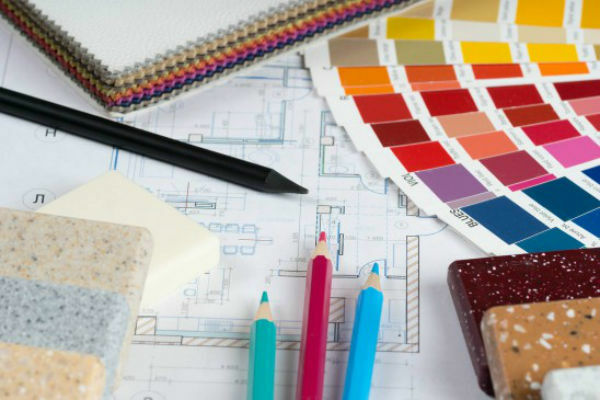 It is been noticed that using of attractive colors has reduced in recent years and shifting to the use of palettes. And the high use of white color alongside contrast, experimental colors are more influential in order to lure the customer. In color selection, you need to judge the application from the user point of totally to get the appropriate output. The text is also a vital part of your app design which delivers the key results to the user. There two basic needs in creating an effective writing, knowing your audience and your medium. Knowing the targeted customer will help you come up with the specific and engaging content and comprehensive knowledge about medium will support it likewise. Mobile app UX is the way you represent the application to the user. Most of the application is off having unique and commendable features have sided with the user just bcoz the weak user design. For obtaining maximum engage with mobile app development factors you also work on these above points. Can You Make Customers Happier With Better Designed Mobile App?